Progress towards a final release continues. There are draft release notes if you want to keep up to date with new features. One of Go’s most recognized users chimes in on the debate with the two choices that the core team has in regard to its biggest issue. The largest Go conference took place in Denver two weeks ago and this is the link you need if you want to dig deep into the talks. 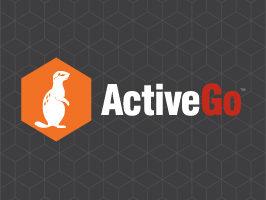 The world's only commercially supported Go distribution for Linux, MacOS and Windows. Try it for Free. The process of evolving Go, through experience reports, and how it worked for issues like type aliases and other changes to the language. Between half a million and a million, perhaps. Go lacks some of the instrumentation capability of other languages and there is an effort to start discussing solutions underway. It’s possible to use closures to adapt a function to your argument (or other) requirements. There is a little-known (yet fully documented) side effect of using append that can overwrite your data and be hard to find. A quest to define “idiomatic” Go by looking at several anti-patterns. Some folks think ORMs are the root of much evil, but here are some ways to use them for great good. A discussion on the generics fork in the road and opinion that generics is simpler than Go’s current options. Instrument your Go apps in a few lines of code to start graphing metrics and setting up alerts in minutes. Supports middleware and subscription to field-level changes.